Advertiser.ie - The HurtLocker Galway - The Biggest Loser Challenge — six weeks to a slimmer, happier you! The HurtLocker Galway - The Biggest Loser Challenge — six weeks to a slimmer, happier you! Become the Biggest Loser and get your money back! The Biggest Loser Challenge is a fantastic new fitness programme from The HurtLocker, in conjunction with Vita Nutrition. This six-week programme will have you slimmer and happier than you have ever been. This programme delivers in every area you need for fitness success — diet, exercise, motivation, and support. Louise from Vita Nutrition will provide a fully customised food and detox plan, along with regular measurements and weigh-ins to keep you on track. There are weekly online seminars for participants to catch up and have any questions answered, and most importantly, moral support is available every step of the way. Meanwhile, John from The HurtLocker will whip you into incredible shape with a tailored exercise programme. As some participants may be new to fitness, exclusive Biggest Loser classes come with full unlimited access to all classes at the fitness studio. John’s passion for fitness creates a unique experience and makes training fun and rewarding. The HurtLocker caters for all levels of fitness so there really is something for everyone. John Greaney set up The HurtLocker to help others achieve their fitness goals. John spent a decade competing nationally and internationally in athletics and has long been passionate about helping people get in shape and enjoy the best health possible. 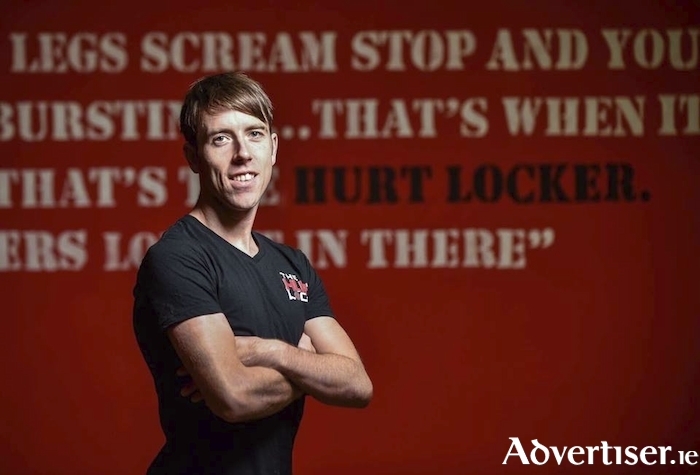 This passion has grown over the years, from simple beginnings on a rented basketball court in John’s home village of Barna to the state-of-the-art fitness studio in Liosban Industrial Estate Galway. Health is the greatest gift of all, and John believes exercise should be fun and challenging. The focus at The HurtLocker is not only that customers get into the best shape, but that they enjoy the journey to fitness as well. The Hurt Locker has excellent HIIT, strength and conditioning, and Xfit classes, with all levels, welcome. The cycling class is renowned in Ireland. With the introduction of The Biggest Loser Challenge, this gym really does have something for everyone. Places on The Biggest Loser Challenge are limited, so register early to avoid disappointment. And what better motivation is there to partake in such a wonderful adventure than to work towards winning your money back — the winner of the challenge will get the cost of the programme in prize money at the end of the six weeks. John looks forward to welcoming all Galwegians to his studio to help them achieve all of their fitness needs. For further information check out www.thehurtlocker.ie Click HERE to find this fitness course. Infection Prevention - The Natural Way!